I have been using Joomla as a blogging platform with great success for both my clients and myself. After having reviewed and tested countless setups and extensions this book is my way of sharing what I have learnt over the years. This knowledge can be used by anyone using Joomla, not just those who want to build a blog. Joomla is great for any type of web site, and it's great for blogging. I have shown in practice that it is indeed possible to build a successful blog with Joomla. By adding a selection of extensions, you can extend the core package to solve anything you throw at it. You already know Joomla and use it for other projects. That's just one of the reasons why you should use Joomla for blogging. This book will answer all the questions you'll have when Blogging with Joomla! Learn from experience gained through building a successful Joomla blog since 2009. Use the e-book as a reference guide when working on your own blog or web site with Joomla. Get clear advice on what extensions to use. Testing if an extension is right for you takes time - I've done it for you. Detailed explanations on how to configure a K2-based blog, power-user tips and much more. 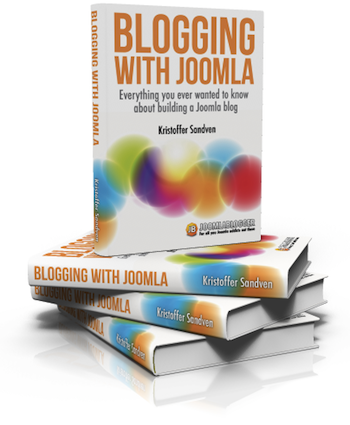 In the book, you will draw directly on my experience from building a blog and other web sites with Joomla. The insights you gain will make the task of creating your own blog easier, saving time when doing so. After all, I’ve spent a lot of time learning this stuff the last few years. Why should you spend as much? How do I set up Joomla for blogging? comprehensive guide on blogging with Joomla. 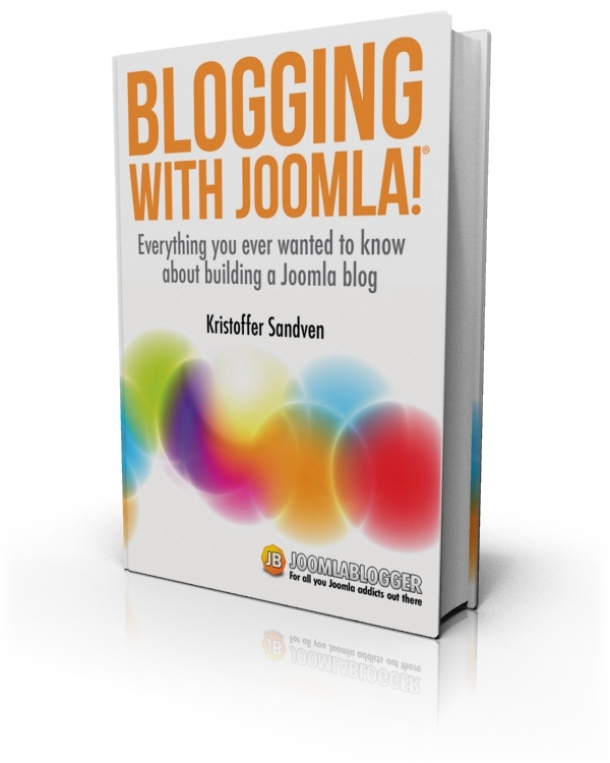 Kristoffer has developed a very thorough guide for building a blog with Joomla in his new book. Offering a well rounded look at the process of building a Joomla powered blog site, including suggestions on everything from choosing the right template and other extensions, to content strategies, he has done a great job of presenting a ton of information in a structured and easy to follow guide. There's so much information in this book it would be good resource for someone looking to build ANY type of Joomla site. It's a great investment for anyone looking for guidance with setting up their Joomla powered blog site, written by one of Joomla's best bloggers! Kristoffer Sandven has finally written the book that many in the web development community has been waiting for. This book is essential for anyone wanting to create a robust publishing infrastructure with Joomla and the author pulls out all the stops as he details every aspect of creating and using Joomla for your blog. But this is not just a technical manual for blogging. The author also addresses important aspects for blogging like SEO, charging for your blog, adding features, etc. In short, if you need to set up a blog or similar web site to publish content, this book will give you everything you need to get it done, keep it going and be successful! This book is packed with high value pro tips, advice, and insights. 287 pages - and it sells for just US$ 9! Note: This book is an e-book for download, not a physical book. Simply click the Buy now button below. Get started blogging with Joomla today!